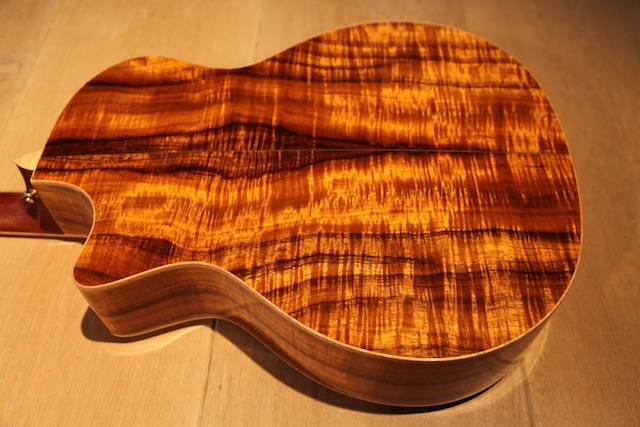 This is made of KOA. 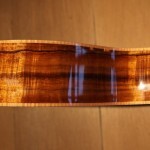 It looks astounding. It sounds quite good too. 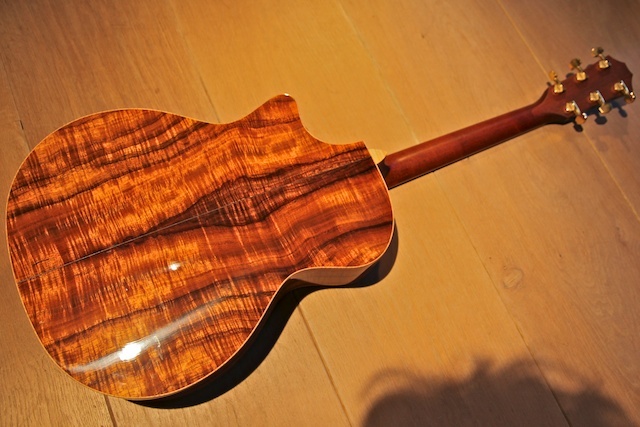 A,nnounced at NAMM summer 2007, Taylor’s Koa Series returns, thanks to new sourcing for this rare tropical tonewood! 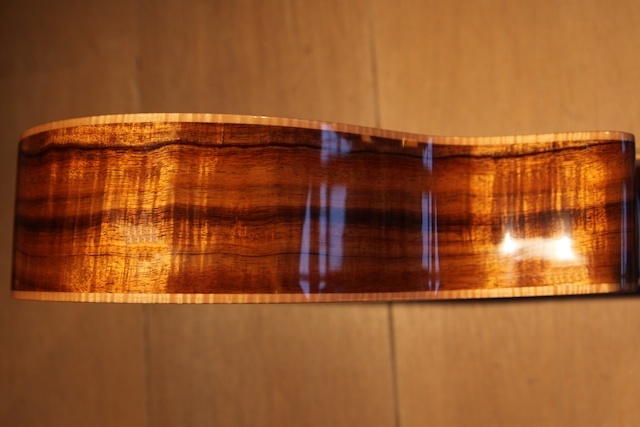 Koa Series guitars have solid Hawaiian koa backs and sides and Sitka spruce or koa tops. 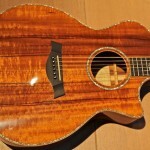 Taylor made a limited number of these each year, depending on the wood stock they had. 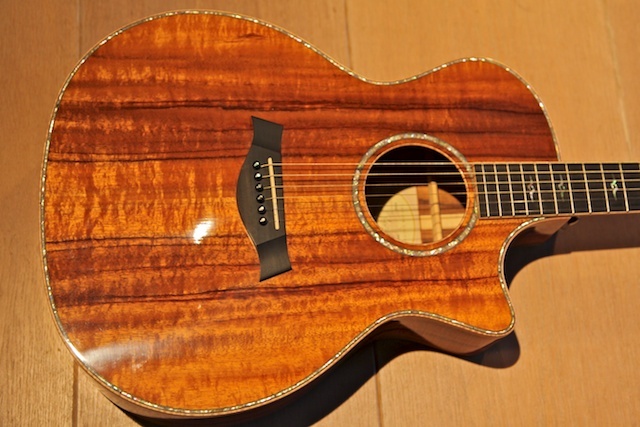 This guitar is a Taylor 2007 Koa Series 24 CEA,nnounced at NAMM summer 2007, Taylor’s Koa Series returns, thanks to new sourcing for this rare tropical tonewood! 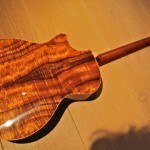 Koa Series guitars have solid Hawaiian koa backs and sides and Sitka spruce or koa tops. 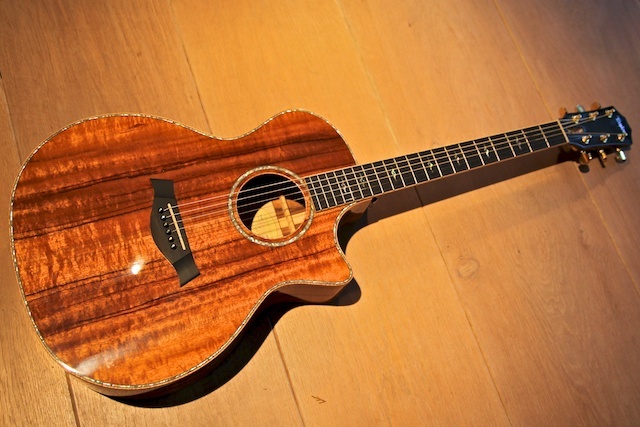 To be fair, I prefer the sounds of my Gibson J200, but it is really a beautiful piece of wood art. 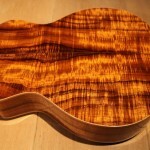 The sound is a little to bright, but I think it comes from the KOA. 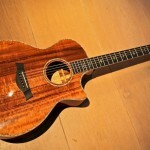 It gets better with time as I play it.